Here’s an expected but important side development in the ongoing battle between Atlantic City’s Borgata Hotel Casino & Spa and professional gambler and poker player Phil Ivey: The Borgata has now filed a motion for summary judgment against the cardmaker involved in the case, Kansas City’s Gemaco, Inc.
Gemaco was originally named as a co-defendant when the Borgata filed its claims against Ivey and his edge-sorting partner, Cheung Yin “Kelly” Sun, back in 2014. However, Gemaco was named on entirely separate counts from those launched by the Borgata against Ivey and Sun, who specially requested that the casino provide high-visibility, full-bleed, bright purple cards for the duration of Ivey’s play at the Borgata’s high-stakes mini-baccarat. The purpose of the request, as admitted to by Ivey in a later deposition, was to maximize the possibility that Sun, with her expertly trained eyesight, could identify minute print variations on card backs once key cards in the game had been rotated 180 degrees before being returned to the muck, where improper shuffling by the Borgs dealers — again, at the specific request of Ivey — allowed the rotated cards to remain out of sync with the rest of the deck. The Borgata claimed as a part of its original lawsuit that Gemaco was also at fault for providing cards with these minute print variations, less than 1/32nd of an inch. However, that part of the case languished while the Borgata’s attorneys pursued their primary action against Ivey and Sun, which resulted in a lopsided victory for the Borgata. Ivey and Sun were ordered to pay back more than $10.1 million to the Borg. That amount amount includes interest and other minor adjustments to Ivey’s initial winnings, which were well over $9 million. Both the Borgata and Ivey wanted to move the case on to the appeal already promised to be brought by Ivey’s attorneys, but the case’s presiding judge, Noel L. Hillman, nixed that idea back in June. As Hillman wrote, there’s still the matter of these other counts brought by the Borgata against Gemaco to be dealt with, and since Gemaco was named as a co-defendant in the same case along with Ivey and Sun, that needed to be settled as well. Allowing one part of the case to move forward while another part remained pending as something of a contingency might have served the Borgata’s purposes, but that was never going to happen. Instead, the Borg’s counsel will have to move forward with its claims against Gemaco, which primarily amount to breach of contract: The Borgata, or more technically, its parent company, Marina District Development LLC, alleges that Gemaco is also liable for the same $10.1 million due to providing “flawed” and “marked” cards. The whole thing will slow down the eventual resolution of the case focused on Ivey that’s already stretched for three and a quarter years; it’s likely there’s a couple of more years in the thing. Yet there’s a certain element of “legal freeroll” in all of this for the Borg. The reason Judge Hillman insisted on the Gemaco portion of the case being resolved is that so the Borgata can’t do a double-dip. Instead, if Gemaco is found to have committed any sort of contractual tort, it’ll likely be up to Hillman to assign a relative proportion of guilt, then leave it up to Gemaco to try to go after Ivey and Sun for the balance. 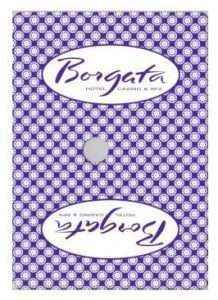 A sample “Purple Gem” Borgata card, similar to that in the 2012 mini-baccarat games involving Phil Ivey. Gemaco maintained an independent legal duty—separate and apart from the parties’ Agreement—to furnish Borgata with cards that did not enable “a person to know the identify of any element printed on the face of the card…” Gemaco breached that duty and can be held liable in tort for negligence. Accordingly, the economic loss rule does not apply, and Gemaco is answerable for all of Borgata’s damages caused by Gemaco’s negligence. The [New Jersey] DGE’s determination about Gemaco’s non-compliant cards leaves no question that Gemaco breached its contractual warranties. The cards were unfit for their intended use and they violated the applicable regulations. Crucially, Klausner’s claims on behalf of the Borgata also cite a memo from New Jersey’s DGE asserting that Gemaco’s cards include a design flaw, thus giving the Borgata additional legal firepower. The notice does not appear on the DGE’s website, which includes bi-monthly summaries of director’s actions connected to gaming activity. Significantly, in a notice dated May 19, 2017 to Joseph Corbo, Esq. (Borgata’s General Counsel), DGE Acting Deputy Director Louis S. Rogacki notified Borgata and other New Jersey casinos that Gemaco cards “were cut so that the pattern on the back of the cards was uneven or off-center.” The DGE recognized this “design flaw” violated N.J.A.C. §13.69E-1.17(d), and advised all New Jersey casinos to be aware of the flaw, inspect their playing card inventories, and alert the DGE if “defective cards are found.”  The “design flaw” identified by the DGE in its May 19, 2017 notice is the same defect at the heart of Borgata’s claims against Gemaco. 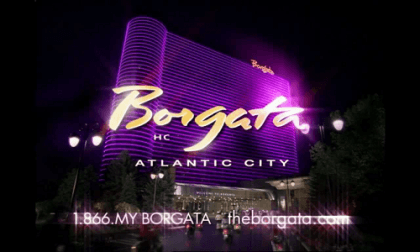 Whether or not this represents part of a home-field legal advantage favoring the Borgata is a debate for another time; throghout this filing, as in many previous filings, the Borgata excludes itself from any culpability in the matter through the casino willfully acceeding to the many extreme and unusual requests made by Ivey for the mini-baccarat sessions. It’s hard not to look at the hole of this case and argue that the Borgata isn’t guilty of contributory negligence and willful disregard of known cheating methods — edge sorting has been around for decades. But again, that’s best reserved for another post, another time. Q. Now, I believe you said the goal is to get it 100 percent centered? A. Yes, that’s the goal. Q. Is there some tolerance that Gemaco employs with respect to being off center? Q. What is that tolerance? A. Plus or minus one thirty-second of an inch. Q. Where did you learn about that tolerance? A. It’s really what the machine capabilities are. Q. So its based on the capability of the machine that cuts the cards? Q. And so you’re telling me that the machine is accurate to within one thirty-second of an inch? A. Plus or minus, yes. Q. Okay. Fair enough. So that’s not necessarily and industry standard, that’s just based on the machine you’re using? Yet Gemaco ha some arguments to counter what the Borgata is trying to position as a slam dunk. Expect to see these arguments and more when the cardmaker files its next response. First, the DGE requirement of card backs to not be “assymetrical” is a sham requirement. All card back designs are assymetrical to some tiny degree. Some cards might need to be slightly magnified to see the assymetry, but it’s always there. One has to suspect that the May DGE notice to New Jersey casinos is designed solely to grease the legal chutes for the Borgata in what all parties knew at that time was a likely resumption of this part of the case. Second, any rational person understands that the 1/32″ print tolerance is plenty sufficient to foil standard human vision capabilities, but with $10 million at stake, the Borg has plenty of reasons to be deliberately obtuse. Kelly Sun’s specially trained eyesight is the human equivalent of magnification, allowing her to see the tiny print variations other humans can’t discern. Gemaco’s response to the Borg’s motion for summary judgment is due a few weeks down the road. We’ll see what the cardmaker’s response will be.